Many ISPs, including America Online, EarthLink, and MSN, will not allow access to an external SMTP server. This is most commonly implemented by blocking traffic to port 25, the SMTP port. 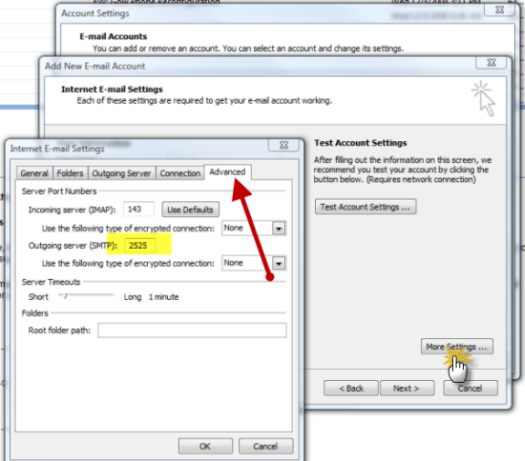 If your e-mail reader supports it, you may work around this restriction by using port 2525 instead.